Imaginism Studios Blog: CHIU-Stream Live Painting tonight! CHIU-Stream is back Monday night! CHIU-Stream will be on tonight at 1am! Thanks for tuning into my LIVE broadcast! Painting late tonight? I am too. "Chiu-Streaming" live at 1am (EST), 10pm (PST) at http://bit.ly/3IOiGj Come paint with me. 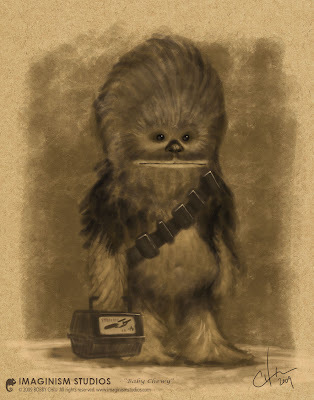 Here's a little Chewy I did at the last broadcast. I don't save these videos so the only way to catch it is LIVE.